It was such a pleasure photographing Laura and Noah’s engagement shoot downtown, Jacksonville. 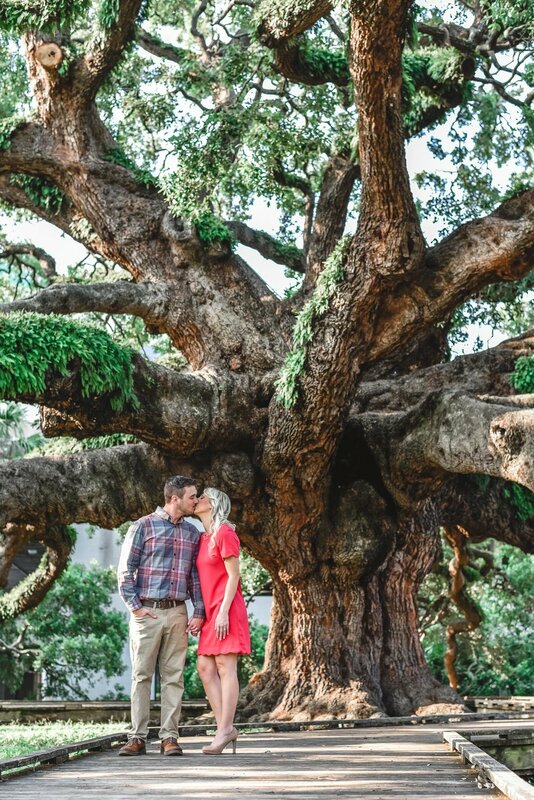 We started the engagement shoot at the beautiful colossal tree at Treaty Oak Park. Then, we headed up towards Friendship Fountain to catch the sunset along the St. Johns River.